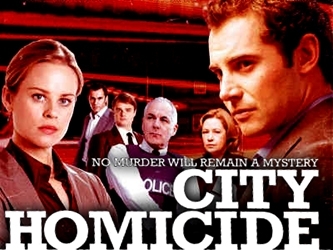 ‘City Homicide’ taught me so much about underscoring drama, the producers Maryanne Carroll and Richard Jasek both have oodles of experience and demanded a lot from the music. Hard work, but very rewarding. Despite being a serious show, spotting sessions were often hilarious. Maryanne has a sharp sense of humour. The music was primarily electronic and moody. I would get the guitars and wah wah out every now and then and always feel good about it. I reckon CH 7 could easily fire up another season or 2 of City Hom . Seargents Don’t Knock, Seargents Stand Back!